My husband loves driving and i enjoy long drives ☺That's the reason we travel more. Now that i have learnt driving myself, this travelling craze will only increase. Being a resident of Colorado state, there is an advantage to be in a scenic mountain state. Rocky mountain national park is a gem near Denver where we can enjoy purest form of nature first hand. 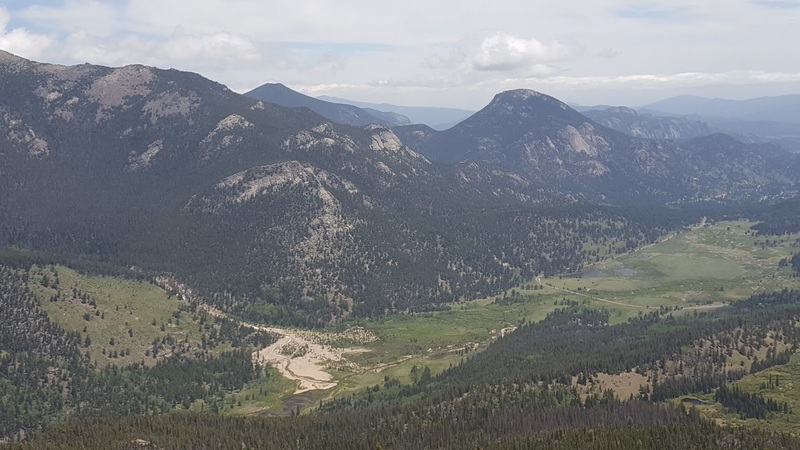 If you love mountains, hikes, nature walks, lakes, waterfalls, wild life and just want to immerse yourself in the bliss of beautiful nature, Rocky mountain national park will be your favorite. 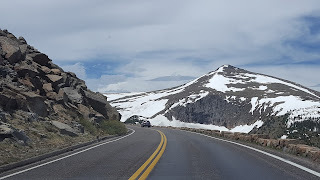 The beauty of rockies and places to visit there would be for a later post, but I will share details about a scenic drive today. 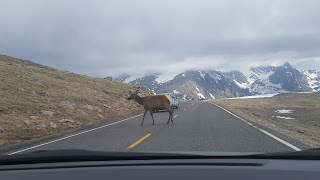 Trail ridge road is one of the highest paved roads in North America and is the most spectacular drive. 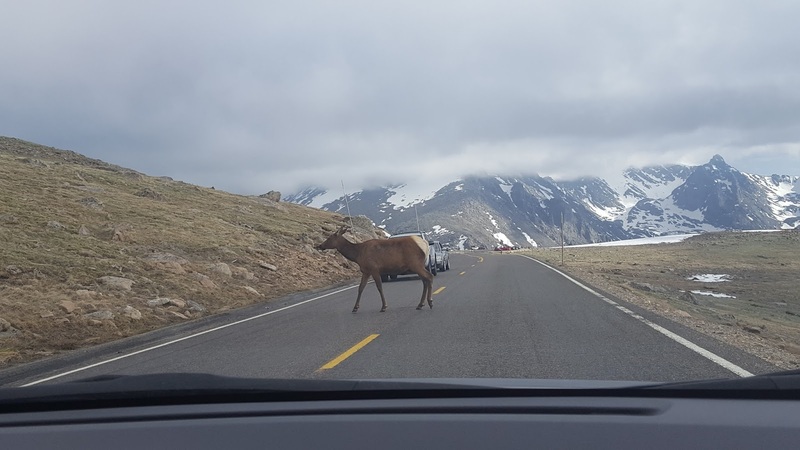 This 48 mile strech road connects Estes park to Grand lake and it takes 3 hours to drive. 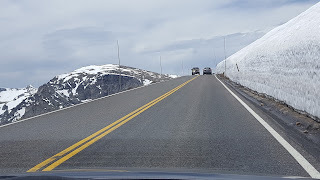 There are dangerous curves with no edges at many places and this road is completely closed in winters due to heavy snow. You can spot snow on the way to summit even in summer. The road reaches to a summit of 12418 ft and visitors can view as fas as Wyoming from there. I hope, you enjoyed these photos. Will meet you tomorrow. 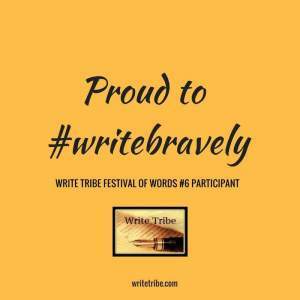 Today's prompt - Feature a map and write about a place either real or virtual. Driving in America has a different charm - long wide stretches of land that can range from boring to amazing with a wide sky on top! One of my friends visited there, so the scenery seems slightly more familiar than I thought it would, Ramya. Thank you for sharing. Getting close to nature while satiating the urge to wander is a great mix to detox...both mind and body! Keep travelling and share with us.... so that we will piggy ride on your memories and fotos! Would love to go for a long drive there though I'm scared about heights. Wonderful clicks, Ramya !!! One of friend lives there, and the pictures she uploads are mindblowing. Thanks for sharing. Beautiful pics. I'd love to go on that drive! I love the mountains and one day hope to make my home in one of them.